As the years' rolls on, I'm becoming keenly aware of how important; it is to express your affection towards those you love. Too much is taken for granted. Time waits for no one. It is easy to develop the habit of saying to the people you love, "I love you." It is tragic to face a moment when you wished you had, but now you can't. Take time to express your affection to your family, friends, and loved ones. God is always expressing His affection towards you and me! Rev. 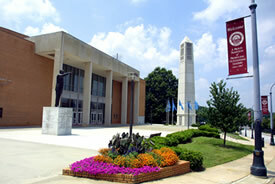 Dr. Lawrence Edward Carter, Sr., Dean of the Martin Luther King Jr. International Chapel sent me a letter today that read, "On behalf of Morehouse College President Robert M. Franklin; it is my pleasure to announce that you have been nominated for induction into the Martin Luther King Jr. Board of Preachers of Morehouse College." I am humbled with the honor of being inducted into the 2012 class. The induction ceremony will be on Thursday, April 12, 2012. Mr. Frankie Wright, born and raised in Baltimore, a former member of the Ed Waters Track and Field Team, as well as, The Mervo Mustangs, has become one of the elite 400 meter runners in America. 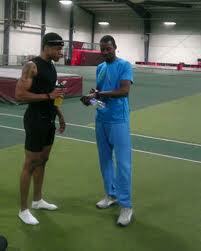 He finished 3rd overall in the 400 meters at the Indoor Championships in Albuquerque, New Mexico today. I commend Frankie for his determination and commitment to excel in the sport of track and field. If he continues on his current path, he is a solid candidate to make the Olympic team this year. Frankie, I'm looking forward to seeing you compete in London. Joined by my colleagues, The Rev. Dr. S. Todd Yeary, Pastor of Douglas Memorial Community Church and The Rev. 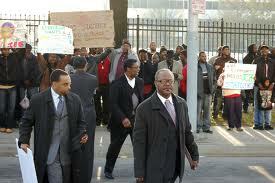 Dr. Lester A. McCorn, we led a March of over 800 persons to the site of the State Center Project in Baltimore. We meet with key officials to ensure an Economic Inclusion Plan was written into the agreement with the developer. Things have quieted down since this public demonstration. The fight has continued in the courtroom and the legislature. After this session of the Maryland General Assembly, we will have news that should encourage those who are ready and willing to work. The issue is all about jobs! The story of Rev. Dr. Harvey Johnson needs a broader audience and is worthy of more in-depth study and research. 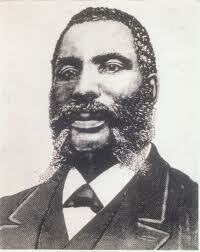 He served Union Baptist Church for 50 years from 1874 to 1923, as its 5th Pastor. During that period of time, he was one of the greatest liberation thinkers in America. He created the legal "test case" strategy. This strategy was developed out of the "Sue Steamship" case. Members of his church were forced to travel in the cargo section of a steamship, even though they had a first-class travel ticket. He sued the steamship line and won the case. This set the precedent for the use of "test case" as a legal strategy. This strategy was used by Thurgood Marshall of the NAACP to strike down Plessey versus Ferguson in the Brown versus Board of Education. The "test case" legal strategy has been replicated by every minority group who has sought legal redress through the court system. Tomorrow's sermon is titled: "The Reward for Being Faithful." Joshua 14: 6 - 14. In the text Caleb receives the mountain as his reward for being faithful. "God honor's faith, when faith honor's God." Some may see the mountain as an obstacle, but if God gives it to you, it is an opportunity. There is a proverbial saying, "Take time to smell the roses." What this saying conveys is that in life one should take the time to enjoy the pleasures of life and the beauty of life, versus focusing upon the problems of life. Life is so short and full of ups and downs. Can you enjoy the peaks, as well as the valleys? Do you take the opportunity to express your love and gratitude to the ones who are close to you and supportive of you? Take time to smell the roses and treasure the little things' life brings that enriches your journey. 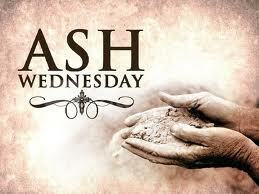 Wednesday, February 22nd begins the Season of Lent. Given the social, political, economic and cultural climate of today, it is necessary for people of faith to draw closer to the sacrificial reality of Jesus Christ as reflected in his journey to the Cross. The Ecumenical Lenten service beginning tomorrow will be held at Union Baptist Church. The one-hour service will be at 12:00 noon and end around 12:45 p.m. with lunch following. When traveling on the water in a vessel, you need a life boat. A life boat is used if your primary vessel encounters trouble, and you need a means of escape. In this picture, you see two life boats. I would suggest that in life you need three life boats when your primary vessel is in trouble. Those three life boats are God The Father, God The Son, and God The Holy Spirit. Okay, you understand Theology and say They are three in one. That’s right and He will never let you down! 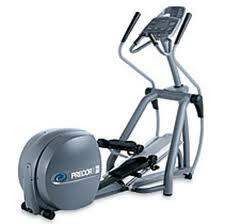 This elliptical machine is similar to a piece of equipment I use daily for exercise. You are able to have a total-body fitness program by using this stationary piece of equipment. It provides you with amazing results by basically doing all of your exercising in one spot. As I think about this spiritually, it reminds me of God's desire for us to exercise our faith in the spot where we are located. That spot may be in your home, on your job, in your church, or in any public space. The more you exercise your faith, the stronger you become. Did you exercise your faith today? 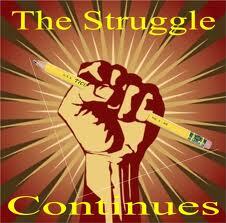 Tomorrow's sermon: Union Baptist Church at 11:00 a.m.; "The Struggle Continues." Even with triumphant and traumatic experiences, in life always remember the struggle continues. 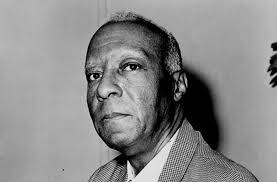 I've been invited to pray the Invocation and give remarks at the A. Phillip Randolph Institute's Northeast Regional Meeting on Saturday, February 25, 2012. The theme is "People Get Ready 2012 is Here!" 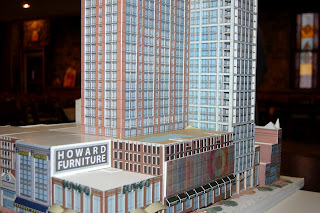 There is a lot of discussion going on in Baltimore surrounding what is being called the "Super Block." 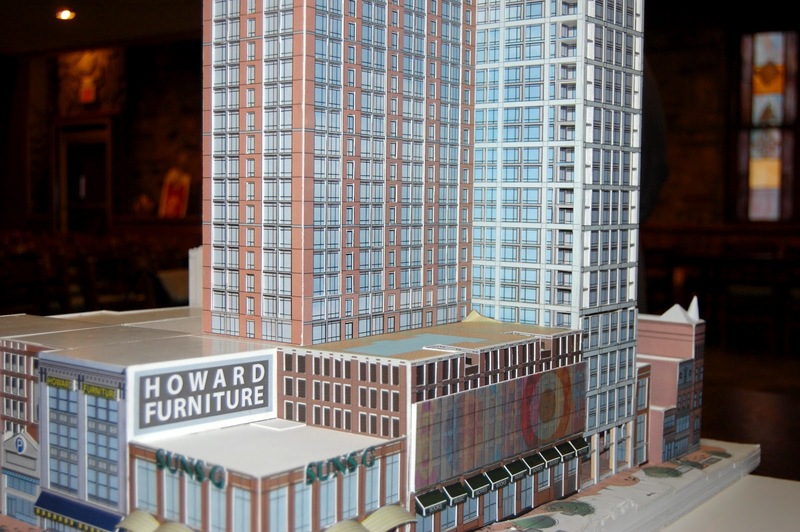 The "Super Block" involves the redevelopment and new construction of offices, retail, housing, and hotel in the area bounded by Fayette Street, Park Avenue, Lexington and Howard Street. A controversial aspect of the project is the proposed redevelopment of the parcel that once held a "Read's Drug." Some say it's a historic site because of the "Sit-Ins" that occurred there and want the structure retained. The developer and others are saying, "Most of the original structure and fixtures are gone; we need to create space for modern day and future users." I land on the side of this section of West Baltimore so desperately needs an injection of capital and new structure - let's move on! In a spiritual sense, we are always faced with the tension of do we hold on to the past or step into the future. Values are important to hold on to; places' decay in time. I believe in our lives it is more significant to hold on to our values, even if we have to let go of places, people and things! These recycling bins remind me of God's ability to change your situation or condition into something good. After you have had a true encounter with God, you will discover you are never the same again. You will think differently, act differently and talk differently. It's God's amazing ability to transform something old into something new. If you have never experienced a change in attitude or attributes, allow God to recycle your life. You will become so much better! What is your highest point? This picture was taken as I was approaching an island off the City of San Paolo. As you can see the highest points of the island are the church steeples and the cross. In many ways we are islands, even though we are interconnected. 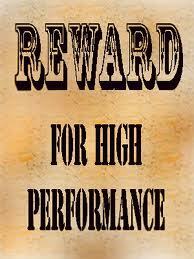 The question in my mind is what is your highest point? As one looks at you and takes their picture what image would one see? I pray that your highest point is your love of God because of His grace and mercy. I took this picture when I visited Rio de Janeiro. It's amazing to realize for miles and miles you see the image of Jesus Christ being available to you. It is truly one of the wonders of the world. How was this monument transported up the hill and set on the highest point in the area? I believe Isaiah makes note of seeing "God high and lifted up!" "Look to the hills from whence cometh my help. My help comes from the Lord!" Too many people find themselves stuck in the shallow water of life. If your boat is not moving fast enough, get out of the boat. May each of you experience the fullness of love, the passion of love, and the patience of love. Love does believe all things, suffer all things, and love does not quit. Always take the risk to love fully, because God first loved you. He took the risk for you! February 12, 2012 at Union Baptist Church is "Red Dress Sunday" and "Pastor's Anniversary." Our guest preacher is Rev. Dr. Cain Hope Felder. Dr. Felder holds a Ph.D. and a Master of Philosophy degree in biblical languages and literature from Columbia University in New York; a Master of Divinity from Union Theological Seminary in New York; a Diploma of Theology from Oxford University, Mansfield College in England; a Bachelor of Arts in philosophy, Greek & Latin from Howard University in Washington, DC; and a diploma from the Boston Latin School. I went to last night's opening of "Jitney" directed by Ms. Shirley Basfield Dunlap at the Fine Arts Theater on the campus of Morgan State University. I wore a special tie given to me by my special sister-in-law. Ms. Dunlap integrate three singers and dancers who perform with the Singing Sensations into the play. The trio stole the show with their "Doo Wop" performances. The cast of actors drew the audience into the events of running and managing what we call in Baltimore a "hacking" service. In Pittsburgh, it was called, "Jitney." For today’s Saturday's matinee performance, the young men of Union Baptist Church will go to see the play accompanied by members of the Men's League. If you are in Baltimore, I recommend you see this outstanding play. Next to my mother, Ms. Maggie Quille was one of the most influential mothering figures in my life. While I feel the pain of her recent loss, I rejoice in knowing that her reward is in heaven. She was saintly in her character. Her commitment to youth, economic development and the Druid Heights Community is legendary. A renovated fire house which is being used as a community center bears her name. A mural on a wall within the Upton Community bears her likeness. A playground for children is in place because of her advocacy. Trees line Druid Hill Avenue because her unwillingness to accept anything, but the best for her community and she had them installed. The library located at Pennsylvania and North Avenue is there because of her. The boxing center, were future Olympic champions train, on Pennsylvania Avenue, is there because of her relationship with then Mayor Du Burns. More importantly, there are untold numbers of persons who were positively influenced by her who now lead productive lives. I loved Ms. Maggie Quille. I spent many quality hours talking with her, laughing with her, praying with her, and learning from her. She will be missed. She served with dignity and grace. 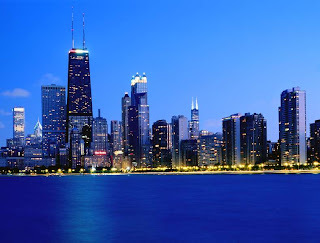 I'm headed to Chicago to attend one of the most progressive conferences in America - The Samuel DeWitt Proctor Conference. We are meeting there this week to discuss "Reckoning with Power: DESTROYING CASTE AND RESTORING COMMUNITY." Professor Michelle Alexander will present a lecture from her book, "The New Jim Crow." I'll send updates from the conference during the week. Rev. 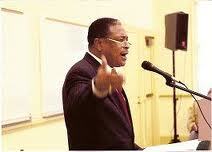 Dr. Wil Gafney, Ph.D. is a colleague and friend who served with me in the A.M.E. Zion Church. I''ve been asked questions about Eddie Long's recent exhibition of being crowned a king. She presented the clearest arguments for refuting and debunking that claim. President Obama's speech at the National Prayer Breakfast. I didn't attend this year. I will most definitely make it next year. Prayerfully to hear President Obama speak.